Led by Orange County’s Department on Aging with support from the Partnerships in Aging Program, Aging in Community is a series of community conversations about key issues related to transportation and housing for older adults. Since 2012, we have hosted community events to learn about and discuss topics such as budgeting in later life, innovations in senior housing, and becoming a creative genius (again!). Community members discuss long term care. On the evening of April 25, 2018, eight men and women, ranging in age from 22 all the way up to 87 years old attended the inaugural FEAST dinner party. FEAST is led by UNC’s Partnerships in Aging Program and Orange County’s Department on Aging. It is a community effort that creates intentional space for intergenerational connections. 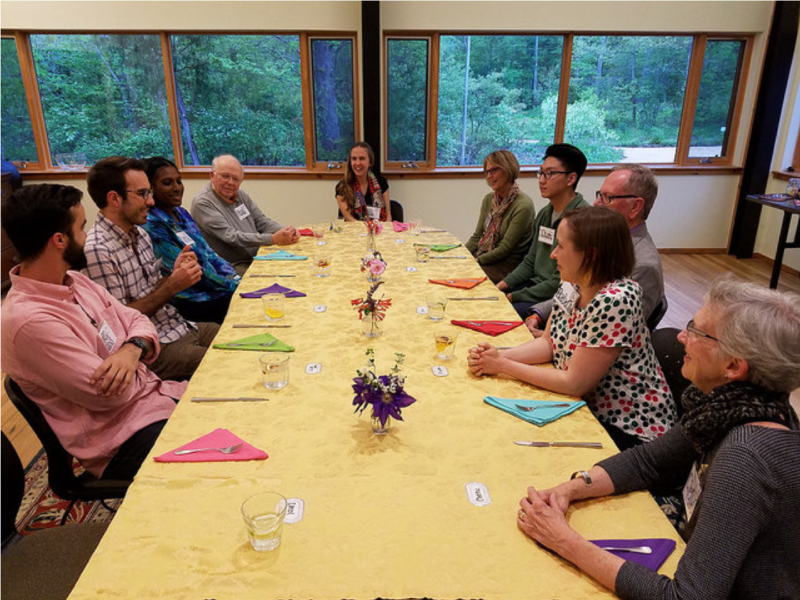 Each month, dinner party guests include UNC students from different disciplines, faculty, Department on Aging volunteers, and community leaders in aging. FEAST believes in the power of intergenerational connections and the joyful wisdom that comes from sharing a table. Over 235 UNC students from 10 health disciplines (nursing, medicine, social work, dentistry, dental hygienist, pharmacy, PT, OT, nutrition, and speech and language pathology) work in teams to explore complex social and medical issues common to older adults. Along the way, students learn about each their classmates’ educational preparation, typical practice environments, and dispel common myths and stereotypes about aging. 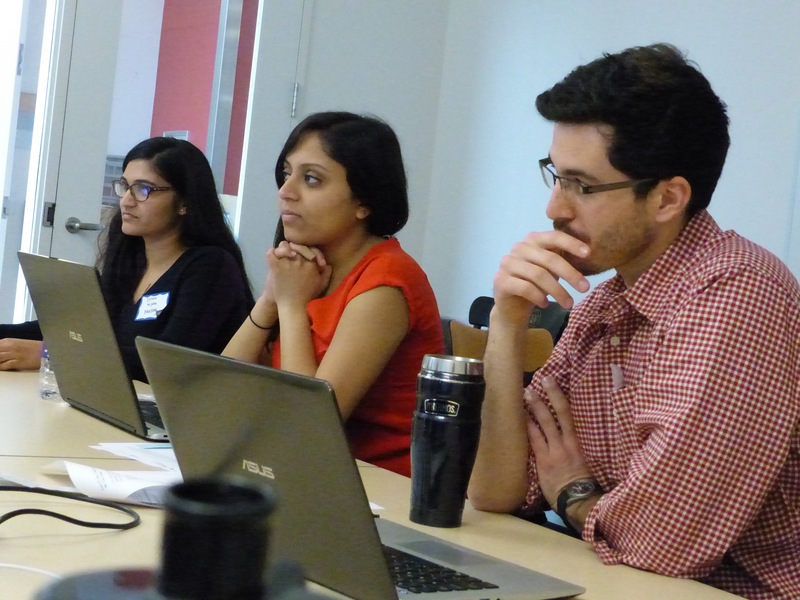 Students from different disciplines participating in care planning for an older patient. Orange County Department on Aging has completed the planning and begun implementation of the 2017-2022 Master Aging Plan. The Partnerships in Aging program is providing consultation and technical assistance to this initiative. The cornerstone of the Master Aging Plan is broad-based citizen input. During public meetings held in July and August 2016, at 13 locations around the County, we heard from over 60 people. 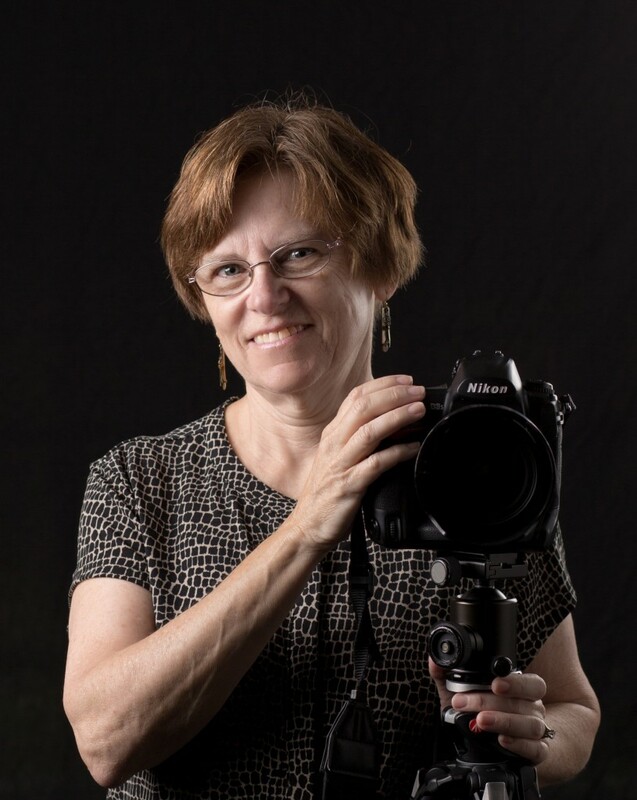 An electronic survey was distributed to people of all ages throughout the County, and Janice Tyler, Director of the Department on Aging, conducted multiple interviews with County leaders and stakeholders. To advance the Master Aging Plan process, Orange County has become the first North Carolina county to join AARP’s Network of Age-Friendly Communities. As such, we are now part of a nation-wide effort to transform our neighborhoods and communities into age-friendly places. Never in modern history have we lived this long. Orange County is already a great place to age, but we can make it even better. We want to continue to develop new models in all areas, including how we live, how we die, and how we connect with each other on a daily basis. Key domains of interest in the Plan include: Housing, Transportation, Community Services and Health, Employment, Outdoor Spaces and Buildings, and Communication Pathways. 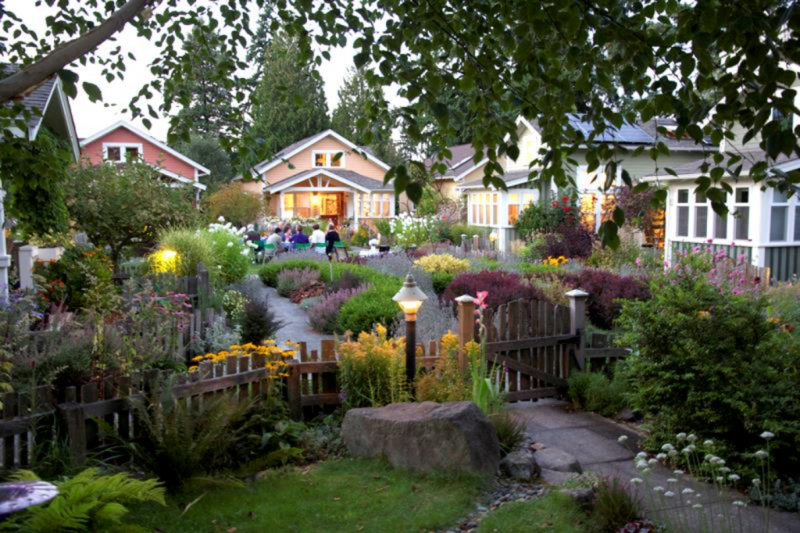 An example of an elder friendly neighborhood equipped with accessible housing and green space. Amy Gorely, Program Director of the Be Bold, Claim Old Campaign. 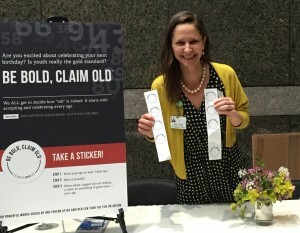 The project, led by Amy Gorely, VP of Strategy and Outreach at Carolina Meadows, challenges ageist views of youth as the gold standard. The campaign suggests that we all get to decide how “old” is valued. It starts with accepting and celebrating every age. 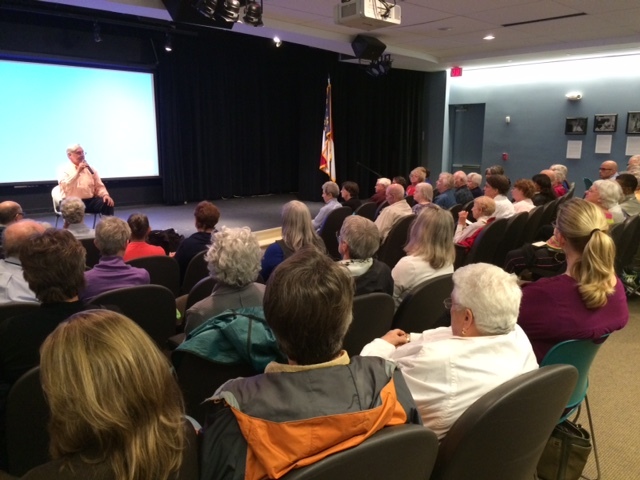 UNC’s Partnerships in Aging Program is collaborating to advance and disseminate the campaign. Be Bold, Claim Old was launched in a two minute TED-inspired talk. The campaign aims to spark a new way of thinking about aging. To learn more about the Be Bold Claim Old campaign, click here. To watch a short video presentation about the Be Bold, Claim Old Campaign, click here. The Northside Residential Fellowship Program creates a living-learning household focussed on aging and health equity. Northside residents and UNC graduate students are charged to learn from each other and perhaps become good neighbors in the process. Research demonstrates the important role social connections play in the health and well-being of individuals. We aspire to create a space for graduate students to become active members of the Northside community and re-establish a multi-generational neighborhood where all residents feel supported. Led by Orange County’s Department on Aging, community advocates, and the Partnerships in Aging Program, seven long term care organizations participated in a year long effort to improve the quality of their care. The final theme was “The Comfort Zone” and focused on palliative care and everyday joys for clients and staff. At the end of the year, participating organizations were eligible for a Quality Service Award and were recognized by the the Board of County Commissioners. 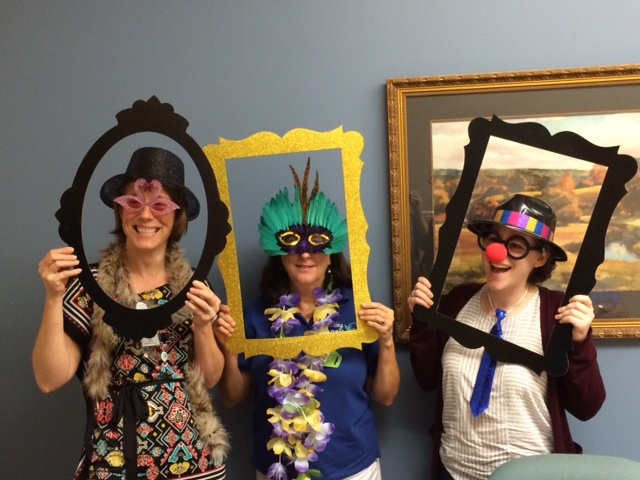 Orange County Long Term Care leaders goofing around at a recent meeting of the Collaborative. Photographer Chris Richman explores the passion and vibrancy of living a long life. What do we do with passion and meaning? How do we address abilities that have become diminished? How do people of different ages perceive the aging experience? The photographic exhibit was displayed in Fall 2016. UNC students from Comparative Literature assisted Chris with the narrative to support her photographs. Partnerships in Aging enjoyed working with the Courage Cocktail Radio Hour. 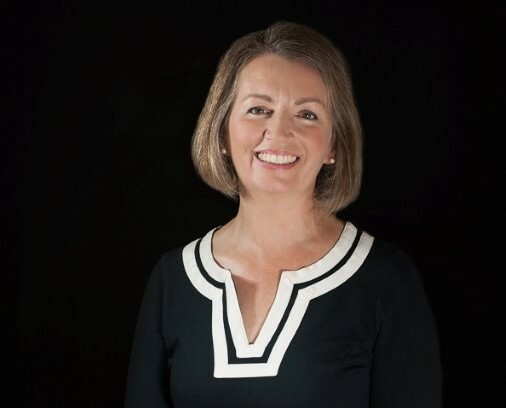 Producer and host, Lee Ann McClymont created a five-part radio series broadcasting over WCOM LPFM, Chapel Hill/Carrboro, NC, which featured five, hour-long radio shows examining current experiences in aging in Orange County through the lens of innovators, academics, volunteers, and artists. The series featured live interviews with guests of differing backgrounds all of whom share a common interest in leading vibrant and productive lives throughout the entire course of their lifespans. Click here for a description of each episode plus links to the podcasts.